As separations and divorces go into effect, all generations of a family feel the repercussions. Grandparents can become easily concerned, because their child and her or his spouse will no longer be married, that they themselves will have limited access to their grandchildren. It is critical for grandparents to know their rights as family members and how they can maintain their relationships with their grandchildren despite divorce. Watch the following video by attorney Kate Falco to learn more about grandparents rights in a New York divorce. A grandparent may petition a court to ensure that he or she can continue to visit grandchildren. The legislature reasons that the grandparent-grandchild relationship is significant to that child’s development. With that said, the court will take a two-step analysis in determining whether visitation should occur between the grandparent and the grandchild. First, the court will examine whether the grandparent has standing to seek the release from the court. There are a number of factors that are considered, including the ongoing and substantial relationship between the grandchild and the grandparent from birth to the termination of the visitation. Second, the court will consider the best interests of the child. Do you have questions about grandparents rights in a New York divorce? 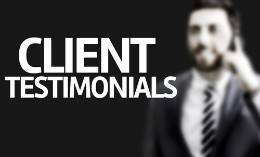 Contact attorney Kate Falco today for caring advocacy and a detailed explanation of your rights. 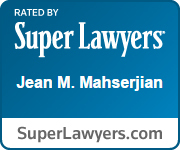 The Law Office of Jean M. Mahserjian has maintained their capital region law firm for over 20 years. The practice encompasses all areas of family and matrimonial law, an online uncontested divorce service and various areas of estate planning. Whether we’re assisting you with a family law issue or helping you plan for your family’s future with our estate planning practice, our goal is to fully educate you on your options and help you make the best decisions possible.